Israeli-supporters “PR” [BS] Machine Spinning Wildly! The Israelis – and Zionist supporters – are desperately spinning stories in hopes of making people rethink their crimes against humanity! But when they view the world of non Jews as Goyim, then anything they do – they believe – is justifiable: from piracy to massacres and from home demolitions to ethnic cleansing! Used by racist Jewish supremacists against Christian whites (or non Jews). Used to strike anger within and start up wars (as when an angry white calls an African American the N word! ).When used, it means that you are lower than the scum at the bottom of a well. To Jews, white straight Christians (and non Jews) are to be used as slaves, Goyim, when the end times come. Israel also has said that its forces started shooting after passengers on the Miva Marmara assaulted them. Interesting! People defending themselves – IN INTERNATIONAL WATERS – against terrorists and pirates have that right: to assault any terrorist or intruder coming in with heavy weapons, boats, missiles and machine guns to steal their vessel! Most amusing is that the Peace Activists were able to throw one Israeli degenerate thug overboard and beat another with sticks. What does that say about these so-called-commandos? Terrorists in uniform! Not only do these supporters continue to spin lies and justifications about the Israeli Massacre aboard the Freedom Flotilla, but they keep coming up with mind-boggling analysis. In other words, they are never wrong, never violent, never kill and always seem to be the victim! It’s normal to attack anyone – or country – in International Waters. They attacked the USS Liberty so why are you surprised? Yet the Somalis in the Indian Ocean attacking vessels are called PIRATES! Armed with machine guns, grenades, missiles and God knows what else, the Israeli terrorists felt threatened by “a knife” and therefore justified to Massacre 19 civilians! No civilian should resist any act of piracy – especially when the Pirates are Israeli terrorists. Any act against Israeli views is TERRORISM! Criticizing Israel in any way is Anti-Semitic! Attacks against Africans or African Americans: Racism. Attacks against your Country: Treason. Attack a religious sect: Hate. 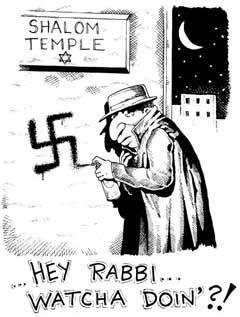 Attacks against Jewish people: Antisemitism. Palestinians or Activists: it’s Self-defense! Islam or Muslims: Freedom of speech! So the Israeli Terrorists Massacred 19 or 20 civilians. In the words of one Jewish Israeli thug when he asked the rhetorical question: so who’s right? His answer was: Who Cares! The U.S. Must Condemn Israeli terrorism and this heinous crime and immediately stop all U.S. Aid to this terrorist nation! We can use the money at home. Israel: Terrorist State commits another Atrocity; Massacres 20 on Aid Flotilla!